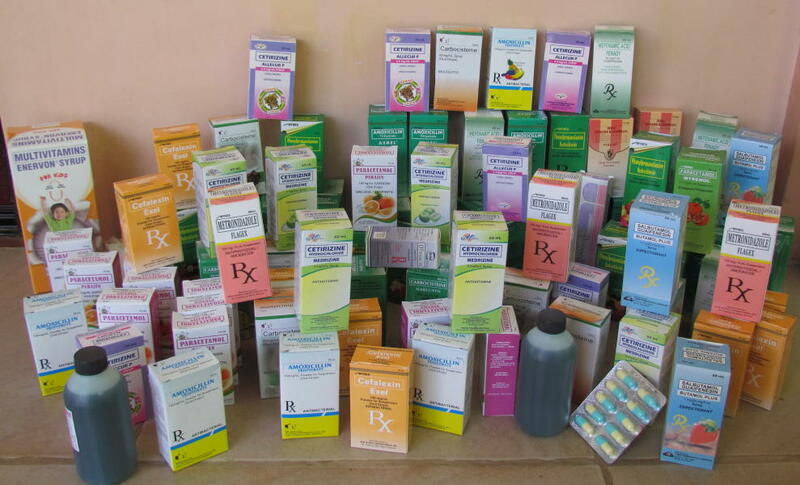 Every month we go through an amazing amount of medicines to treat our children. Most of the medicines are for common childhood ailments such as coughs and fever, but some children also have prescriptions for specific medical problems. By treating any illness promptly, we can prevent more serious problems that would require hospital admission. One hundred US dollars would supply enough medicine for one month.